Doosan have announced its continued role as an official patron of The Open Championship (also known as the British Open) for 2016 as well as a wide array of related online and offline branding campaigns to be carried out in the United Kingdom and around the world. The Open is one of the four major championships in men’s professional golf. This year, The Open will be played at Royal Troon Golf Club in Ayrshire, Scotland, from July 14 to 17. During the tournament, Doosan will host an exhibition stand at the event venue and promote Doosan’s main businesses—including power plants, desalination plants, fuel cells and construction equipment—to the visitors. 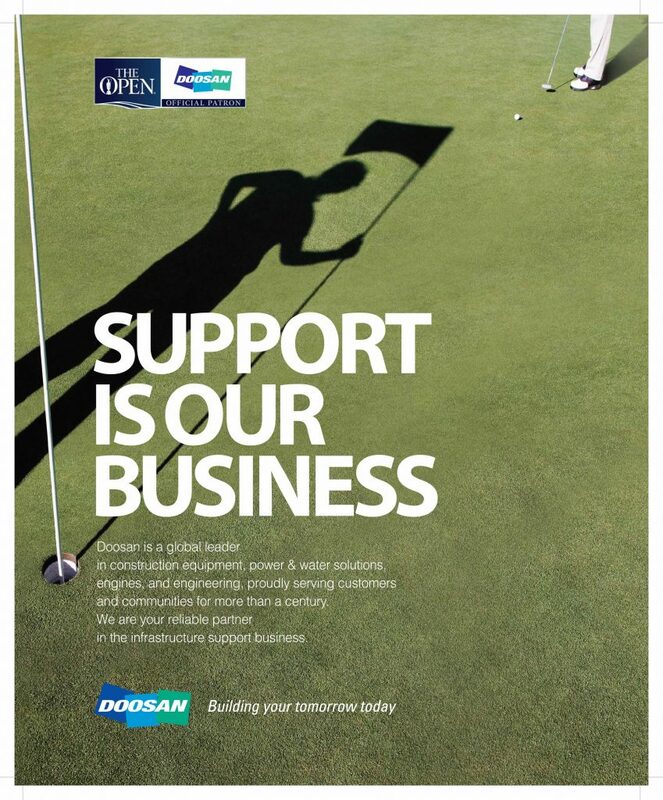 Doosan’s sponsorship of The Open has proved to be highly effective in raising its brand awareness. Repucom, an independent brand analysis and research agency, assessed the monetary value of the exposure achieved by Doosan’s on-site signage on the teeing ground and other advertising via worldwide television coverage at around £8.5 million (or $11.3 million) every year. Last year, The Open was broadcast by 103 broadcasters to 505 million households worldwide. Meanwhile, the Doosan logo gained 117,171 seconds of brand exposure. To help nurture young talented golfers, Doosan has invited two golf prodigies each from the U.K. and Korea, and will host a friendly match at Royal Troon Golf Club on the day following the tournament. After signing the first sponsorship agreement in 2010, Doosan signed a five-year extension with The Royal & Ancient Golf Club (The R&A) until 2019. Doosan will also be exhibiting at IMHX this year, 13 – 16 September at the Birmingham NEC, providing visitors with the ability to experience the benefits of Doosan products and interact with the systems directly themselves.